For a country that houses 6 million people within an island that measures just 49km by 25kms, Singapore has a lot of green spaces. Few of which I have ever ventured into as it’s hot and humid here and I like air-conditioning, but I need to start seeing more of this country before our time here is up. I don’t want to leave with regrets so I’m making an effort to get out and about and see some of the less popular parks around Singapore. 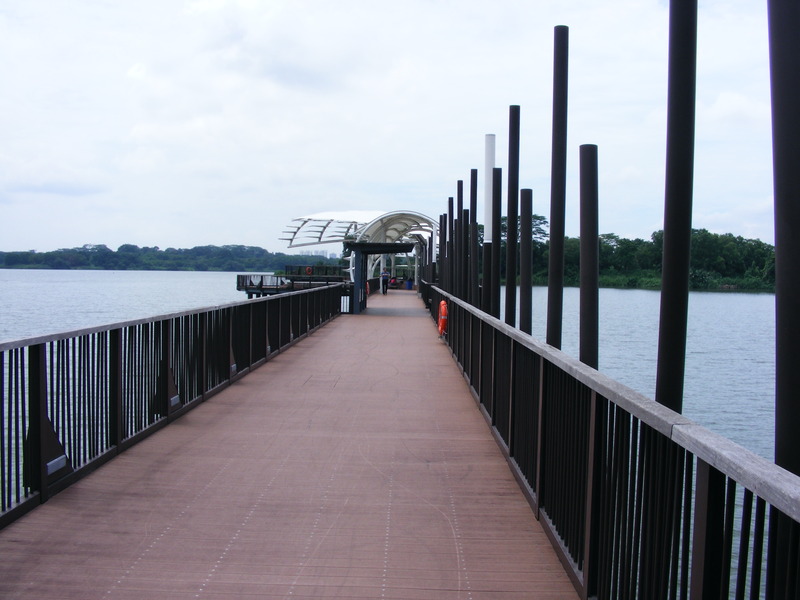 First up – Lower Seletar Reservoir. I was actually out this day to find an “Off The Beaten Track” place but badly needed a toilet break and this place was handy so I used the opportunity to have a look around. My visit was a Monday morning and the park was very, very quiet. 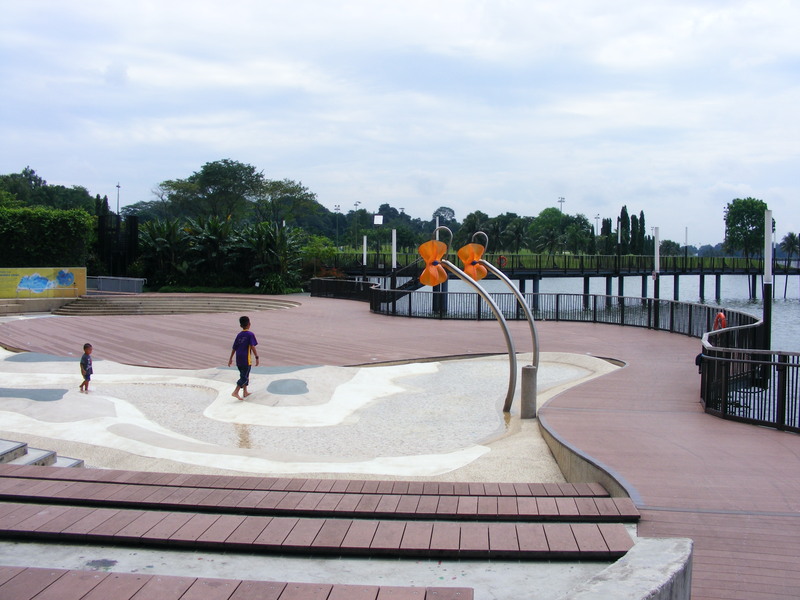 There are a few paths, a water playground that wasn’t operating this day, some exercise equipment and a long jetty that is a popular place to fish. There wasn’t much happening on this morning but apparently at night the reservoir is very a popular place to kayak and for dragon boat races. Kayaks can be hired from a nearby outlet. 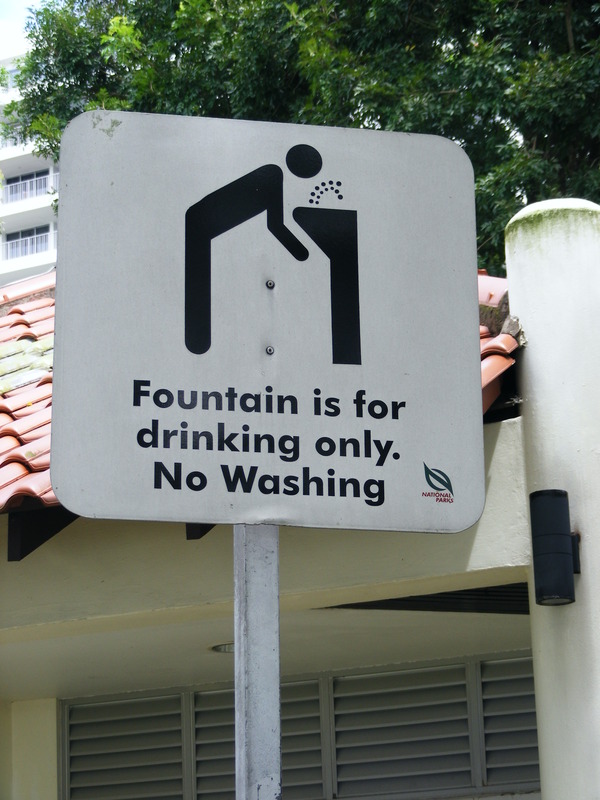 This must actually happen otherwise why erect a sign? 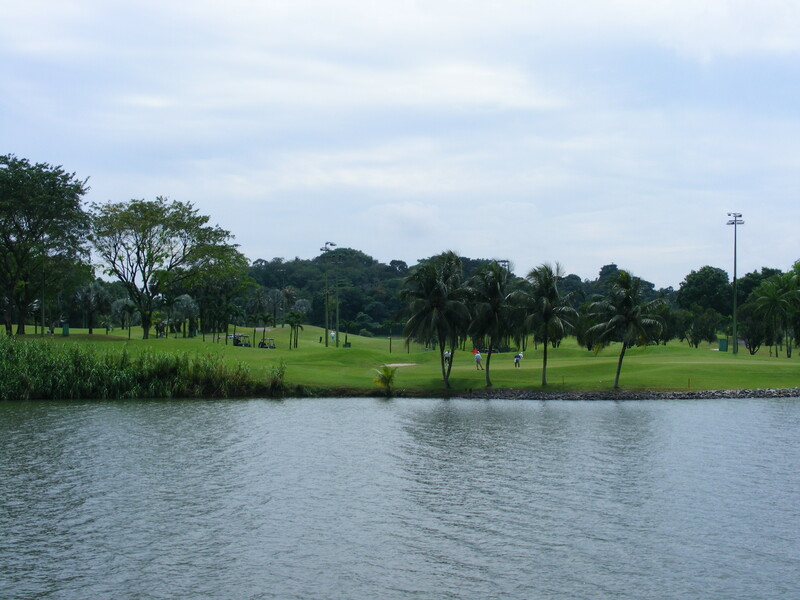 The Seletar Country Club is next door. Membership for foreigners is a mere $42800 (half price for locals) with a $150 monthly subscription fee. Golf anyone? 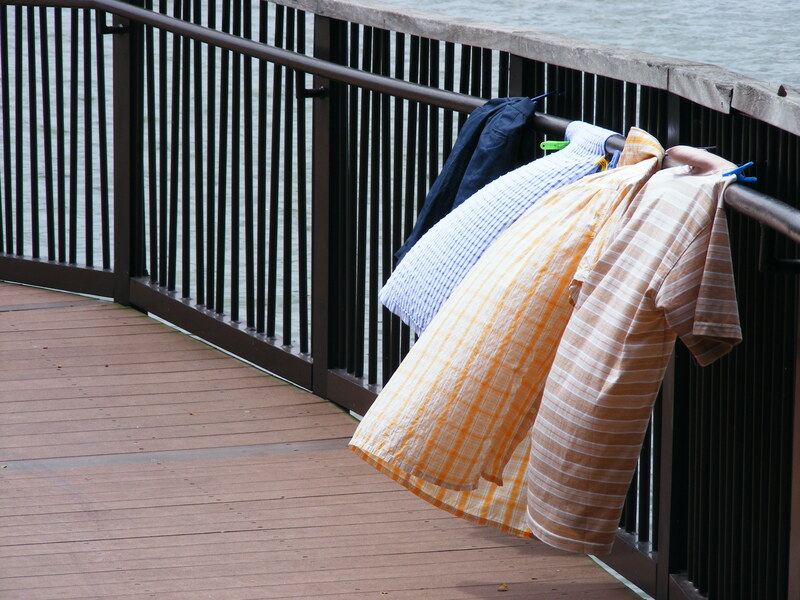 It’s also an excellent place to dry laundry. Don’t think I’ll be taking up golf anything soon!